The slender neck of this traditionally shaped Riesling bottle was ringed with a card quoting a smattering of top reviews like a summer blockbuster. But, for once, they are not hyperbole: This is one delicious Riesling. 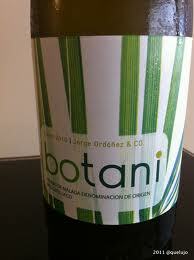 It has a near perfect balance of sweet and dry, acid/alkaline, a smidgen of effervescence. For our uneducated taste-buds we got a flavour of many orchard fruits, apricot, peach, melon, maybe honey, but the reviewers apparently found lime and minerality, and that just didn’t jibe with our experience. Not a matter: Round and wonderful on the palate and so incredibly versatile with food we had to test it out with three separate meals. But, alas, it’s one pricey bottle, and it didn’t wow our wallet as much as it suited our dinner table. Price: $29.99 from BC Liquor, who don’t know the meaning of case discount. Market Liquidity: Impressive on the palate, impassive on the pocketbook. Now this is how to blend. This is artistry. Open the spice cabinet. Clove, cinnamon, plum, vanilla on the finish and long in what I can only describe as slightly unusual, not as smooth as the Robert Parker clones usually are, but just lovely. We drank it with some extra old cheddar, not what would be a match made in heaven, but it did the job and it did it well. More than I like to pay for wine but sometimes you have to pay more for wine than you want to (which is called living in British Columbia…). I did not write down or Google the percentages on blends because in the end it didn’t matter, they did an excellent job, an expert job. Thank you Langmeil. 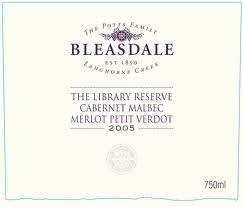 A pleasing blend of Cab Sauv and Malbec with a little bit of Petit Verdot and Merlot. 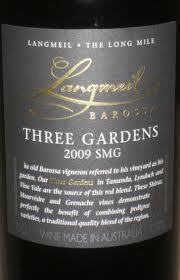 I’d like to say this is a wonderful wine, we loved it, it’s great, but none of that would be 100 per cent true. This is a pleasant wine, a palatable wine, damson plum jammy flavours, full on the palate but absolutely no finish. This bottle, at $5 off the regular price, was not only pleasant to drink but a pleasant buy. That said, we had been drinking at home and out, better reds, better reasonably priced reds, and it took a “comparative hit” not measuring up. There was no wow factor and nothing even significantly unique to elevate it. I’m sure most people would be happy with this though, and I don’t want to be too hard on blends. We love blends! More blends please. But there is too much choice to settle. It’s certainly not a bad wine, just not great. Someone said “lay it down” but it was too late (!) and the sale was over anyway. 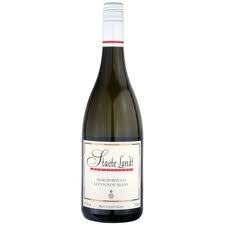 Price: $24.99 at Kitsilano Wine Cellar (we bought at $19.99 on sale). Market Liquidity: So good but so what? Neither grassy nor fragrant. Sharp, acidic, cirtussy, without any dimension. We found nothing we liked about it and it returned to the fridge with its screw cap on to, eventually, be used as stock in risotto. Too bad. Market Liquidity: At $27 this wine is preposterously overpriced. 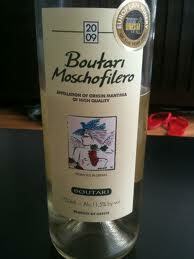 People don’t drink enough dry muscat in North America. I don’t know whether that’s because it doesn’t fit the archetype of what we’ve come to expect in a dry white, there isn’t enough available, or there is some vast vino conspiracy at work. Maybe all three? Price: $24.99 at Everything Wine ($23.74 with the case discount) or BC Liquor full price. Market Liquidity: A 750 ml cure for seasonal affective disorder. After sampling a rather strikingly good glass of Greek white at Jean-Georges’ Market restaurant in Vancouver, and then after failing to source it at any public or private liquor store, I thought perhaps it was time to give Greece a second chance. The country is, it seems, in need of a little economic oomph. And open-mindedness is a theme of our wine choices here. This Boutari Moschofilero (AKA and what I’ve always seen written as moscophilero) is sharp, crisp, clean, but not loaded with either flavour of depth. 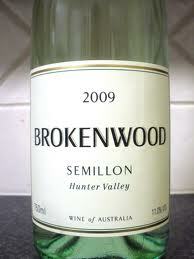 Imagine sauvignon blanc without the green or semillon without the gun-metal flint. It just seemed bare. Probably perfect with calamari, or something a little greasy that needs an acid wash, but we drank it with a vegetarian dinner of roast squash, beet salad, greens and cheese, and it went down OK but without flash. A praise-deserving 11.5% alcohol content. Price: $15.99 at Everything Wine ($15.19 with the case discount). Market Liquidity: A good pick on a Chinese restaurant’s menu should it ever be on one, no repeats for us.